David Parry is the Director of Parry Property, a leading family owned real estate business in Northern Tasmania, established in 2013. 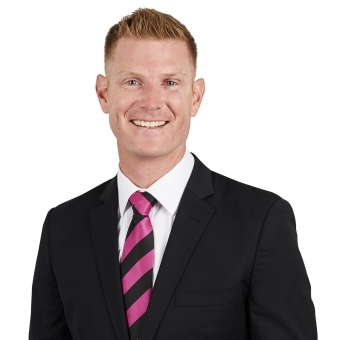 Recently recongised as the Number 1 Sales Consultant in Northern Tasmania and ranked as number 4 in Tasmania, David has sold over 100 properties and is selling a property every .32 days! David Parry is an expert negotiator, consistently achieving the highest average sale prices across the Launceston and Greater Launceston Region. David is honest, down to earth, experienced real estate professional. He has the experience, knowledge & know-how to deliver his clients their desired results in real estate through a sharp shooting approach. "Great thanks to David and his team for selling our house. A good result was achieved in short period of time.We would highly recommend Parry Property for someone who is looking for an enthusiastic, professional and reliable agent." Combining experience, along with fresh & new marketing initiatives, deliver premium results to his clients. David has the ongoing commitment to his professional development through continual training, marketing & coaching. Bringing these same qualities to the sale of your home. David was drawn to the real estate industry due to a long family history in real estate and had the urge to follow in his fathers footsteps. Behind the Real Estate scenes David, a proud home owner and investor makes his first priority, his family; his wife and two children Maxwell and Piper-Rose. Apart from real estate, David is an avid jet skier and has a passion for overseas travel. David is competitive in nature and combined with his passion for helping people achieve their desired outcome he consistently outperforms his local competitors, achieving exceptional results. David's familiarity with the Launceston & Greater Launceston region combined with his advanced knowledge on how to market property to maximum exposure and a premium sales price is his clients edge. If your curious about your property's value today, get in touch with David for a FREE MARKET APPRAISAL. It's simple, fast and based on our professional knowledge and experience.